Please let us know if there is anything that we should be aware of when scheduling your appointment. Have you been searching for the right cosmetic dentist in Grand Rapids, Michigan? Steven M. Conlon – D.D.S. Dental Associates of West Michigan welcomes new patients, and proudly serves Wyoming, Kentwood, Caledonia, Grandville, Byron Center and all of Greater Grand Rapids, Michigan. Call 616-446-5715. We accept a vast variety of insurances for your convenience. Dental Associates is a family dentist serving clientele of all ages with. We also offer 24 hour emergency dental care and cosmetic dental services. Our staff is glad to see you and help you with any questions or concerns. Please use the form to the right to request a call from our helpful staff and we will be sure to find a time that works for your schedule. Dr. Steven Conlon and Dr. James Vincelj focus on lifetime prevention as well as employing superior dental treatment available for patients. 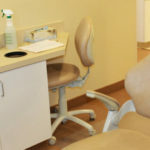 They accommodate patients needing immediate dental assistance or emergency dental care. Besides being Emergency Dentists, Dr. Steven Conlon and Dr. James Vincelj also serve as Family Dentists offering specialized dental services to every member of the family. It's important for every family to have a dental care expert they can trust, Dr. Steven Conlon and Dr. James Vincelj are highly regarded dentists who can care for each member of your family. Our patients enjoy expertise, dedication, gentle demeanor, patience, and ability to make any dental procedure a relaxing, painless experience. At Dental Associates of West Michigan we treat each patient with the same compassion, understanding, and speed that we would want from a dentist’s office in Grand Rapids. Give us the chance to exceed your expectations. Our dentists are experienced in all common dental care issues, cosmetic dentistry and remain available for same-day emergency dental treatment. We understand that few people look forward to seeing a dentist. If a long time has passed since your last teeth cleaning, we would relish the opportunity to give you a pleasant experience. Our team of friendly receptionists, dental hygienists, and experienced dentists together create a welcoming atmosphere using state of the art equipment and leading practices. Thank you so much Dental Associates of West Michigan! I just want to say thank you so much for such a wonderful experience today and over the last month or so. You don’t even know how you have changed my outlook on dentistry! I am so grateful to your wonderful staff, especially to Kathy who was able to find me an appointment a few weeks ago when I was in a moment of desperate need, to Trudy and Kimberly who treat me like they’ve known me all my life and remember those little things that make my experience more pleasant and comfortable and to Dr. Conlon who really makes me feel at ease and genuinely cares how I am doing during the procedure. You are all truly a blessing and I will be sure to tell everyone I know how awesome you guys are! Have a great weekend!! I cannot say enough how impressed I was with their care. I was a new patient, and requested an appointment online, and got a call within 5mins, and got in right away with the dentist. They helped with my 3mos old daughter since I had nobody to take her with such short notice, and they told me that if I was in pain, they wanted to see and help me ASAP, and that my daughter would be no problem. They kept me informed every step of the way, and helped me work things out with my insurance so I would be able to afford a root canal instead of having my tooth pulled. The dentist got me on antibiotics right away for the infection, and scheduled my next appointment right away. The entire staff was so warm, welcoming, and helpful – you can tell they genuinely care about their patients, not just how much money they can make off them. Hands down, the best dental experience I’ve ever had, and I will not be looking for a new dentist anytime soon! They have wonderful care and service to their patients. I have had great experiences at Dental Associates of West Michigan. The staff is very friendly and welcoming from the time you walk in the door to the time you check out, and schedule a follow up appointment. I love that they call to let me know the date and time of my appointment as a friendly reminder! I have been seen by both of the dentist and I am very happy with both doctors. They are thorough and they explain what is going on with my teeth and how I can take even better care of them then I do already. After the great experience I have made sure that all of my family members and friends use Dental Associates of West Michigan.